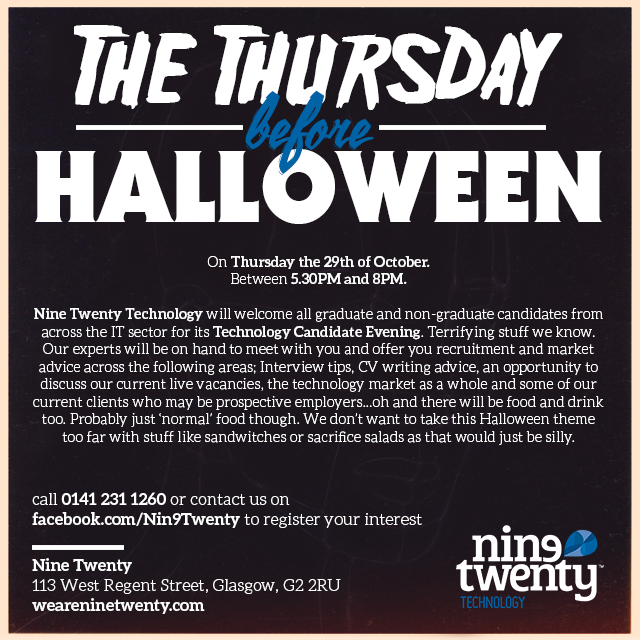 Nine Twenty Technology are hosting a Candidate Evening. Everything you need to know about it has been carefully crafted into this throwback poster. It looks more like a throwback napkin, but we’ll stick with poster as it has an air to it. What else do we really need to say? It’s free, so that’s good. And if it’s a particularly cold October Thursday evening, it will provide you with some food and shelter – Which again, is also good. So don’t wait – Register your interest today.